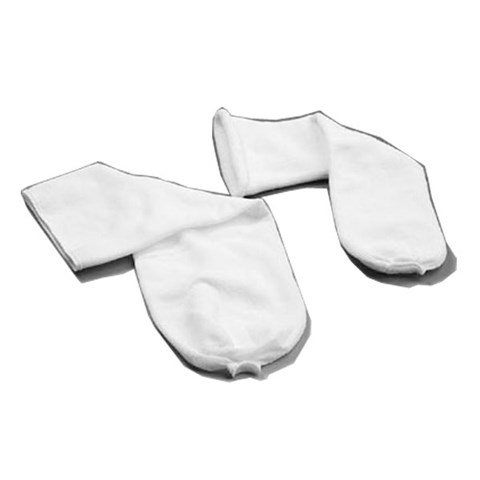 The Iceross socks are thin distally to prevent the residual limb from being pushed out of the socket as more socks are added. This will ensure good function from the socket lock. Designed with a fully knitted hole for the distal connector and proper function of the lock. The Iceross Seal-In sock is designed to work in combination with the Iceross Seal-In liner to obtain an improved fit if volume reduction is experienced in the proximal area of the residium. The Iceross Seal-In sock is intended for use above the Hypobaric Sealing Membrane (HSM™) only and should never cross it.